Every once in a while we get to work on a project we’re really proud of. While every video has a message to tell, some inherently possess deeper meaning and reminds us of why we started DreamItReel to begin with. One such opportunity came this past MLK day, as we were graciously awarded the opportunity to work with the Philadelphia 76ers and create several pieces commemorating the late Martin Luther King. 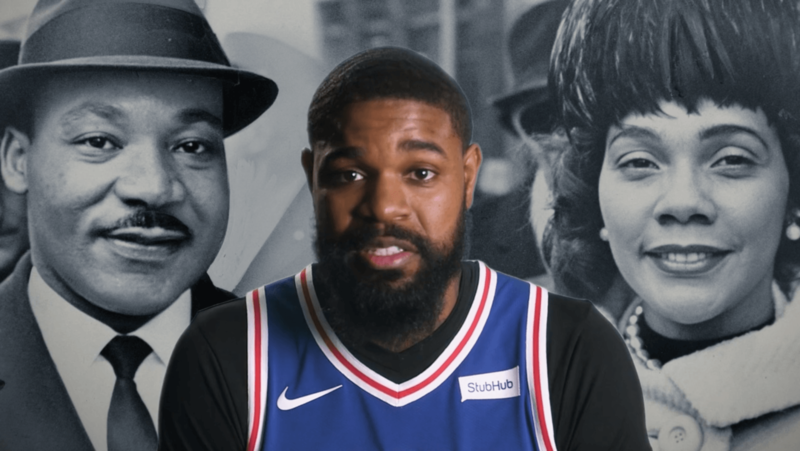 The 3 piece series featured heartfelt messages from Jerryd Bayless, Ben Simmons, and Amir Johnson on what MLK means to them and how the team gives back. While creating this piece it got us thinking. Martin Luther King and the civil rights movement coincided with a major shift in popularity of TVs. While the 1st TV was invented in the 20’s, it wasn’t till the 50’s and into the 60’s that they became a household staple, giving the world a platform for Martin Luther King. According to TechCrunch, people spend more than 1B hours watching video every hour, reminding us how important the power of video is and how different the world is today, but we wonder, if TV and video weren’t as prevalent as it was during the movement would it have the same level of awareness as it had?